“He tells you exactly what he wants you to do, but gives you freedom to express your talent,” Shkrodan Mustafi said ahead of Arsenal’s Europa League clash against Sporting Lisbon. That expressive, yet organised approach was on display at the Emirates Stadium on Thursday night despite struggling to break down their resilient ten-man Portuguese opponents in a 0-0 draw. 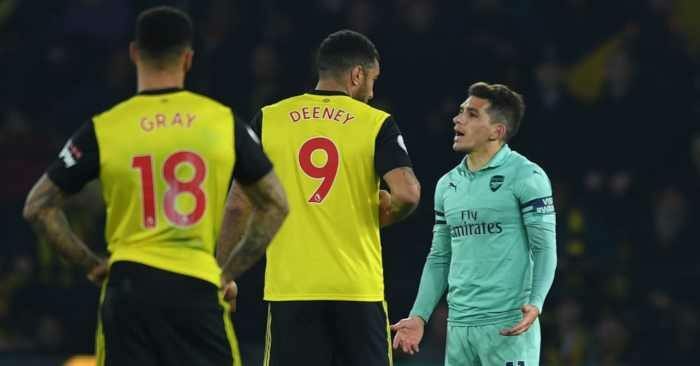 The Gunners lacked a cutting edge in the final third in an otherwise solid performance, as they extended their unbeaten run to 15 matches in all competitions, while qualifying for the knockout stages. It was the 11th time this season that Arsenal had gone in at half-time drawing, with eight of the previous ten turning into victories. Even with the brilliant Jeremy Mathieu receiving his marching orders for Sporting late on, Arsenal couldn’t deliver an improved second-half result. 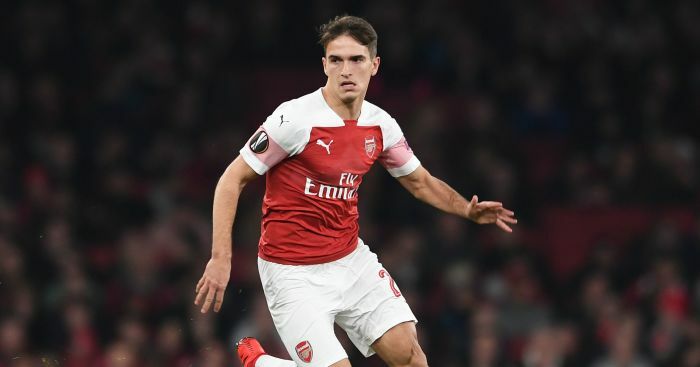 Unai Emery made nine changes from the side that drew 1-1 with Liverpool in an impressive display, with the Spaniard’s side overcoming Jurgen Klopp’s press to exert control on the match for large periods. This was an altogether different challenge against Sporting though, who were without a permanent manager for the trip to north London, with Jose Peseiro leaving Lisbon last week. Caretaker boss Tiago Fernandes set them up well to frustrate the Gunners, but in reality they never threatened in a match dominated by Emery’s boys. It was always unlikely to be free-flowing, beautiful football for the full 90 due to Emery’s desire to give fringe players minutes on the pitch, with the likes of Alexandre Lacazette and Mesut Ozil not in the matchday squad. Henrikh Mkhitaryan and Rob Holding were the only two that remained from the enthralling draw against Liverpool. The match hit a sour note after only 25 minutes when Danny Welbeck was hurt in a collision with a Sporting defender. There was a five-minute interval as Welbeck took on oxygen, before a stretcher was called for the striker, who had scored five goals in the Europa League since the start of last season – more than any other Arsenal player. Dat Guy’s rotten luck with injuries continues. How would the Gunners respond to a nasty-looking injury to one of their own? The answer: more of the same. It was Welbeck’s replacement that was most disappointing as Pierre Emerick-Aubameyang – who has been superb this term – having he best chances to win the match. The former Dortmund man looked mentally unprepared to come off the bench so early as he put in a wasteful display, with twice as many shots as any other player (four). Alex Iwobi is perhaps the best example of the “freedom” shown to his players by Emery with the Nigeria international turning into one of the most improved players in the Premier League so far this season. His performance here wasn’t exactly show-stopping but it again highlighted the positive tweaks he has made to his game. Once much-maligned for going missing in matches, Iwobi is now driving at defences, with a lot of the Gunners’ best play against Sporting going through the 22-year-old. Granted, Iwobi must still improve his cutting edge, with a lot of his crossing and shooting on Thursday night leaving a lot to be desired. That won’t worry Emery too much, though, with his improved strength and decision-making in key areas adding to the Gunners’ all-round play. If he keeps this up then surely the goals and assists will follow in higher volumes. It was only the second time Arsenal have failed to score in a match under Emery, and the first since the opening match against Manchester City. 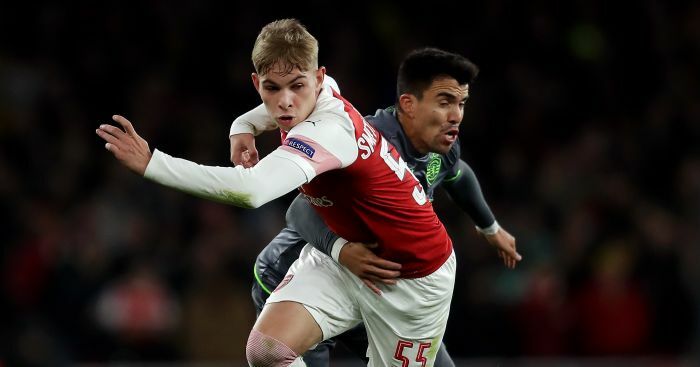 Emile Smith Rowe – the most intriguing name on the teamsheet versus Sporting – provided the attacking support for Welbeck and then Aubameyang. The 18-year-old was direct, showed intelligent movement and was alway looking to be inventive when he got on the ball. Will he force himself into the starting line-up in the Premier League soon? Probably not, but he has the key attributes you would associate with a youngster off the Gunners conveyor belt. Matteo Guendouzi has started six of Arsenal’s opening 11 Premier League matches and didn’t play at the weekend. Based on this appearance, it won’t be long before the Frenchman regains his spot. 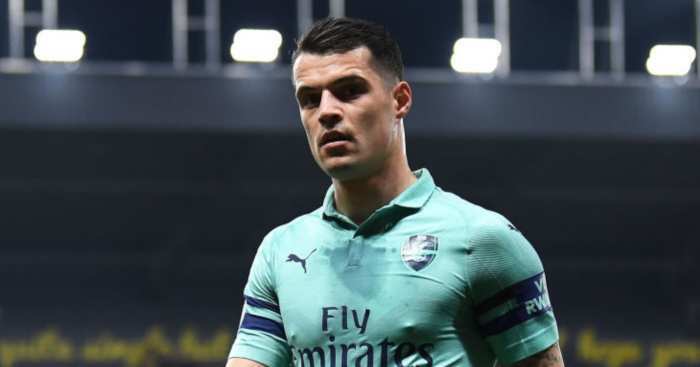 The maturity and composure he showed on the ball for a 19-year-old leaves me in no doubt he will play a hell of a lot of matches for the Gunners in the next couple of years. In certain situations he lacked that speed of thought to make a pass quickly, but that will come. Guendouzi’s tenacity to win the ball back, break up play and thread lovely passes to the forward line was there for all to see. An outstanding talent. Emery has found depth this season in players that were already at the club but showing little progress – with Holding another to turn in a solid display. These young guns managed to lift some of the gloom surrounding Welbeck’s nasty-looking injury. It could be a bright future for Arsenal.